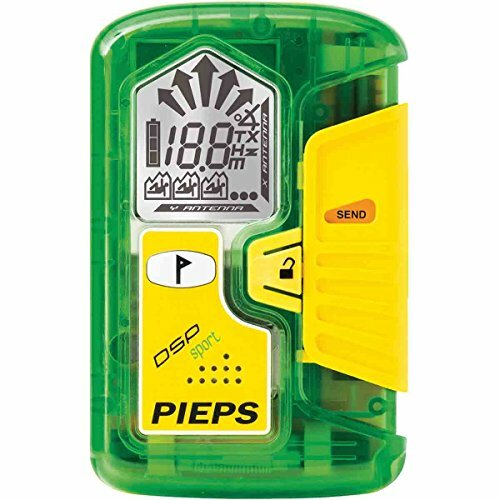 The PIEPS DSP Sport Avalanche Beacon is the go-to beacon for the everyday snowmobiling backcountry traveler, offering circular range, a smart transmitter, and three-antenna accuracy in an easy-to-use package. Simplified and streamlined yet outfitted with all the features needed for fast, accurate searches in the event of a slide, the PIEPS DSP Sport Avalanche Beacon is as easy to use as it is powerful. With a 50-meter circular range, three antennas for pinpoint search accuracy, and a smart transmitter to aid in fast recovery, the DSP Sport is the go-to beacon for anyone venturing into the backcountry. The included harness-style carrying pouch provides comfortable, streamlined storage and fast removal for beacon practice and emergency response.